Here are the show notes for this episode. If you like you can also play along with the archived live chat. Universities are pulling out of Access Copyright early, and then squirting freedom on students. Ontario Supreme Court sets precedent for online anonymity. Here comes facial recognition technology, whether you want it or not. EU Trade Deal smells like ACTA. Currie strikes a nerve with a link to reddit. Apparently pirates are also great customers.. Who knew? Movie/music editions. TorrentFreak gives Jamendo some love. I’s the b’y with a world class wireless network launching in 2012. Currie’s got your back, Jeff Gignac. Mozilla steps up to take on Android’s faux-pen-ness. Blog comments: the age of rage. Refuting UBB: Data and network congestion do not exist. DOES THAT BLOW YOUR MIND?!1! One App Store to rule them all, apparently. Freedom beards vs. iTards on change. “Has podcasting become too corporate?” — asks the BBC. Dude writes resignation letter to supermarket. Film at 11. Groupon wannabe comes to Canadian backwater. Total Recall films in the T-dot. Kevin Smith prepping to empty Canadian wallets. for some reason. Venezuelan despot runs country from hospital bed using Twitter. Can we take a h1t off of that b0ng? From the Free Music Real Artists collection (on Jamendo, of course) this week we’ve got Dj Fab with his track Be Free. 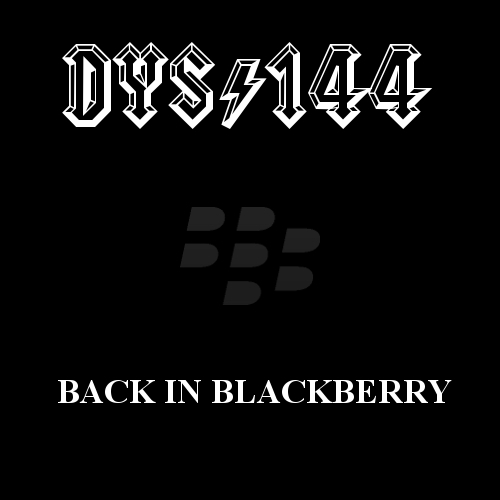 Tweeps and Identicans can hash a tweet/dent with the tag #dyscuss144. Or come hang in our irc channel anytime — #dyscultured on zeronode.irc.net. To submit story ideas for next week’s show kindly use the hashtag #dys145. Episode 146 will record live next Wednesday, August 3rd from 9:30 pm ET / 6:30 pm PT, right here. See you there. Previous Previous post: MS-DOS 30 Years Old… Today! Next Next post: This is why your newspaper is dying.